Hello. I'm AQUAROSA, underwater photographer specializing in portrait. This is my latest work: "Pray and Kannon". Today I'd like to introduce Kita Kamakura town. FYI, Kita means north in Japanese. 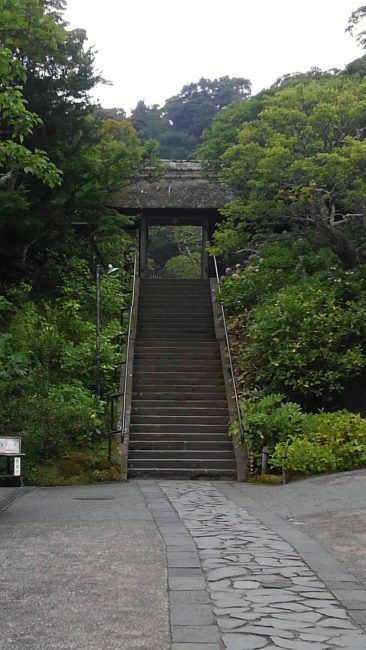 Having some time to get around in Kamakura, why not visit Kita Kamakura? Quiet and peaceful town awaits you. Experience Japanese Zen, Japanese tea and shopping!! Related blog: "Kita-Kamakura, a hub of Zen philosophy", "Green Tea Moment in Kita-Kamakura"
Get off Kita Kamakura station on the Yokosuka Line. Go left after passing west exit of station. Walking toward Tokeiji temple and Kenchoji temple, you'll see small shops, cafe and restaurants. 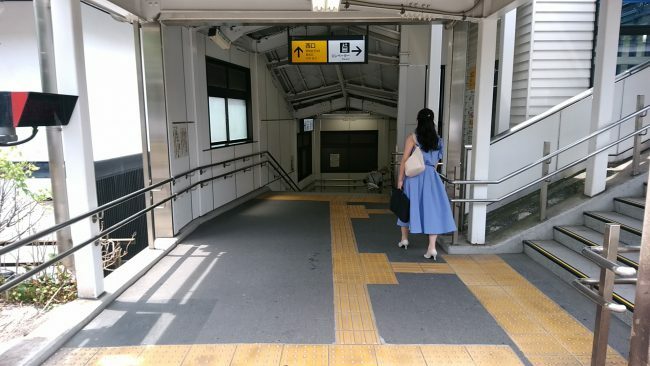 There's Tokeiji on your right after a couple of minutes' walk from station. Passing Tokeiji, go toward Kenchoji. It'll take 15-20 min from Kita Kamakura station. You can drop in some specialty shops on the way. In Gaｌｌery Bukkho(Bukko), lots of Buddhism stature and paintings are welcoming your visit. Those are collected all over Asian countries. Find your favorite one and bring it back to your house with Kamakura memories. Actually these're my works. These works invite you the wonderland. You can put this photography besides you during meditation at home. Also put on the wall of your bed room. It might help to sleep well. Recently I focus on Japanese Buddhism things with homage to Buddhist stature. I've photographed some flying angel, Kan non (Kwan-yin) in water. The flying angel is a guardian of Kan non and a messenger between heavenly world and humans' world. 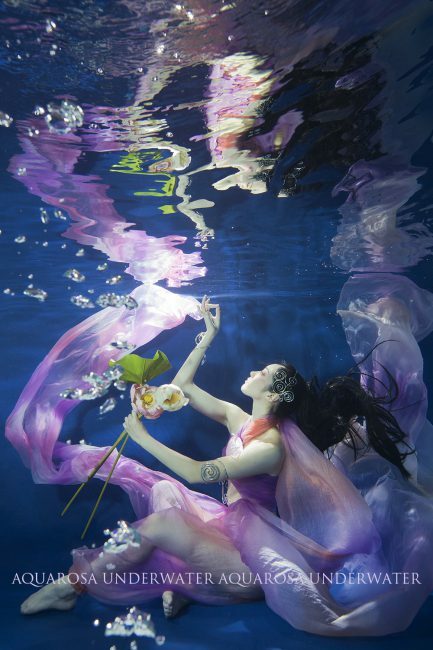 I may meet a real flying angel when photo shooting under water. You can see inside the gallery as below. In gallery Kuraya, handmade tableware, fabrics or home decoration are displayed. All the merchandise is replaced every few weeks. 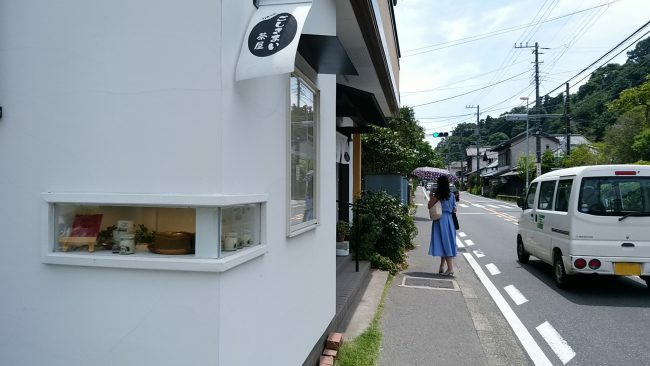 In Hachinoki Kita Kamakura, enjoy vegitalian cuisine called Shojin Ryori. And walking down to Kenchoji, you'll find the unique shop with a big Japanese kanji sign. In Tomono Furo, you can buy all you use in the bathroom. Wooden tub, bucket, chair, bath toy, etc. FYI, furo means bath. 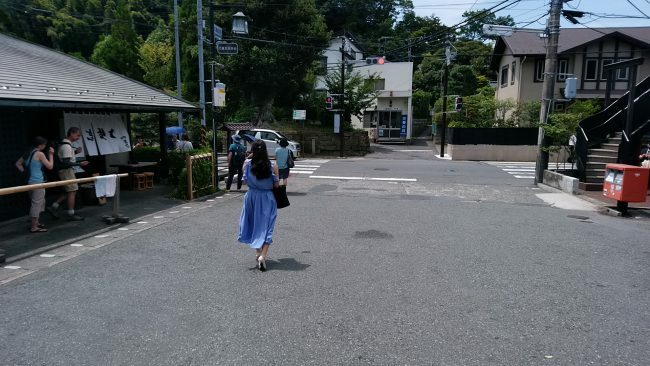 Have a nice time in Kita Kamakura.